We invite you to complete our built-in Customer Satisfaction Survey on our Contact Us page. This handy form includes a collection of questions designed to allow you to have your say while providing us with valuable input on how we can improve. Enter a password and a security question and type in the answer. Click on the “I accept. Create my account” button. Then click on the “Show me my account” button. Now you can write a review of our practice on Google. Follow this link to our google review window. Please add a “star” and provide more details in the review box. Thank you! 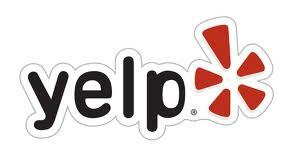 To review us in Yelp visit Our Yelp listing. Select the red “Write a Review” button. Next choose the number of “stars” you would like to assign to your experience and then enter your review text. Select “Sign up and Post” to continue.